COIMBATORE: State Municipal Administration Minister S.P. Velumani on Friday handed over a cheque for Rs. 5 lakh to the parents of N. Logeswari, who died during a national disaster management drill in a private college here on Thursday. 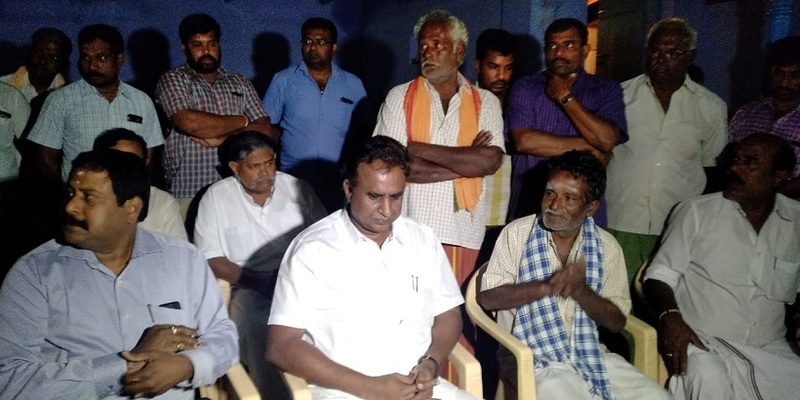 Chief Minister Edappadi K. Palaniswami had announced the solatium to the family in the afternoon and Velumani handed over the cheque to Logeswari’s parents at their house in NG Pudur in Alandurai late in the evening. Earlier, talking to reporters, Velumani said that the matter is under investigation and if found guilty, action will take action against the college. Terming the incident as unexpected and condemnable, he said that it was clear in the visual, which went viral, that the trainer was pushing the student, leading to her death. Meanwhile, the documents provided by the trainer, Arumugham, were found to be fake and further investigations are on, police said.